The incredible cycling landscape photos continue to come in, and you’ve got until Midnight Thursday to submit yours. This really is the biggest contest we’ve put on so far and can’t wait to award the Grand prize and runner up awards. 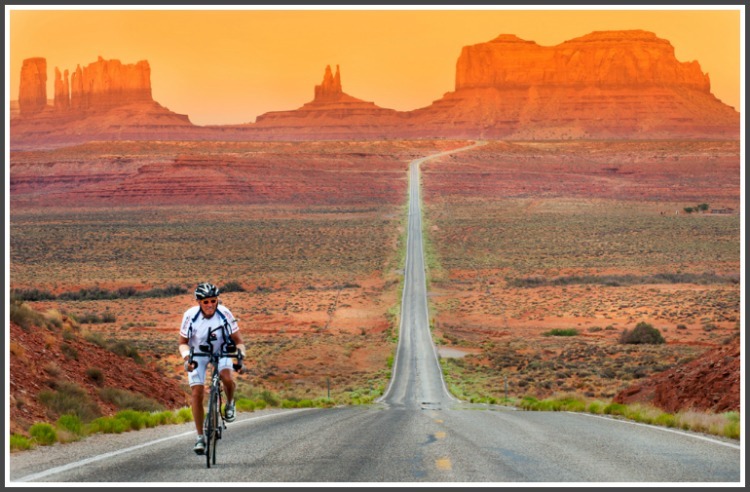 For full details of this fantastic contest, check out our Cycling Landscape Photo Contest post. I didn’t want to post any of the photos that have come in so far because I thought it best to wait and just post the top 5 once they are selected by our panel of judges…..but there is a sneak peek in our Cycling Landscape Photo folder on Facebook. 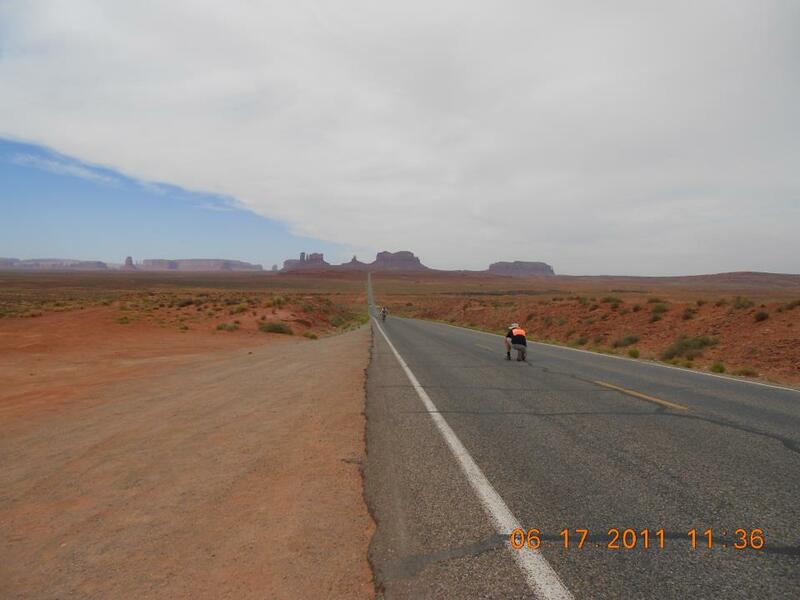 I also wanted to share with you a behind the scenes look at how that Monument Valley RAAM photo that I posted last week came together. It’s definitely one of my favorite cycling photos ever and it’s also what inspired this photo contest. Scroll down to the bottom of this post for details on how to submit your photo. Here’s a shot Dan Joder photographing that beautiful image of Dex Tooke coming up the road at Monument Valley….and a reminder of just how beautiful the resulting photo turned out (below). Submissions to our Cycling Landscape Photo Contest can be made by e-mailing them to darryl@lovingthebike.com or posting them on our Facebook Page. Remember that photos must be submitted by Midnight EST on March 1, 2012 to be considered. I submitted my photo a couple days ago and am very excited about this one. I can’t believe the prize package you have put together and I am so anxious to see if I am selected as a finalist.